How to increase ecommerce conversion rates using social media! Your ecommerce conversion rate could be improved, if only you used social media correctly! With the right social media strategy, you can build your brand reputation and boost your ecommerce conversion rate considerably. Social media is the finest way to reach customers who use these platforms on a daily basis to socialise. Ecommerce websites struggle to compete with big name brands with even bigger budgets – social media can be used as leverage to drive traffic to your store. It’s worth considering that 75% of ecommerce conversions come from social media platforms, including Facebook, Twitter, Instagram, and Pinterest. Now ask yourself the same question – is social media important in the sales process? The answer is undoubtedly, yes! 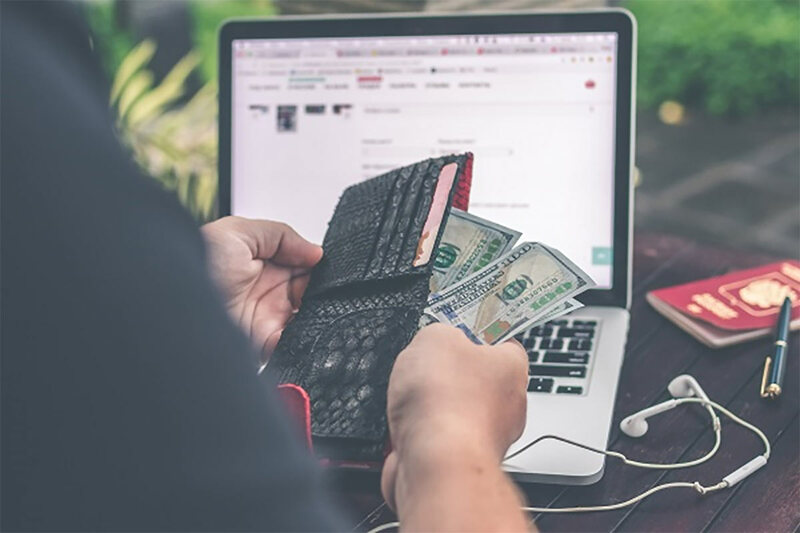 In this article, we’ll discuss some of the ways you can improve ecommerce conversion rate using social media marketing. Before we talk social media strategy, let’s do a little research. You need to know what your customers are searching for before posting content on social media. Establish where those audiences operate. Where platforms do they use – Facebook or Twitter, Pinterest or Instagram? Knowing this will help you target the right people in the right location. Sounds simple, right? But, you’ll be surprised at the number of people who neglect this step. Retargeting has become a more common marketing tactic in recent years. If you aren’t familiar with this type of marketing, it simply refers to the process of showing ads to users who have already expressed an interest in your business. Most people who visit your website do not make a decision on the first visit – they shop around. Retargeting gives you the unique opportunity to reconnect with those people and remind them to make a purchase. With the fast-paced nature of social media, a visible post may be replaced in a matter of minutes. You need to be quick off the mark to stand out on social media. Retargeting allows you to show content with people who have previously seen your post or company page. Facebook Offers allows you to create new offers for every ad published. It’s essential to ensure that customers are tempted with an offer they simply can’t refuse. Customers are more likely to convert if they A) feel a sense of urgency to get involved B) see your competition as they like you on social media. They are more likely to get involved with all future communications and recommend others who may be interested in your business. It’s not only Facebook that has seen the opportunity for social media sales. Instagram is hot on the heels of Facebook with a shopping update. 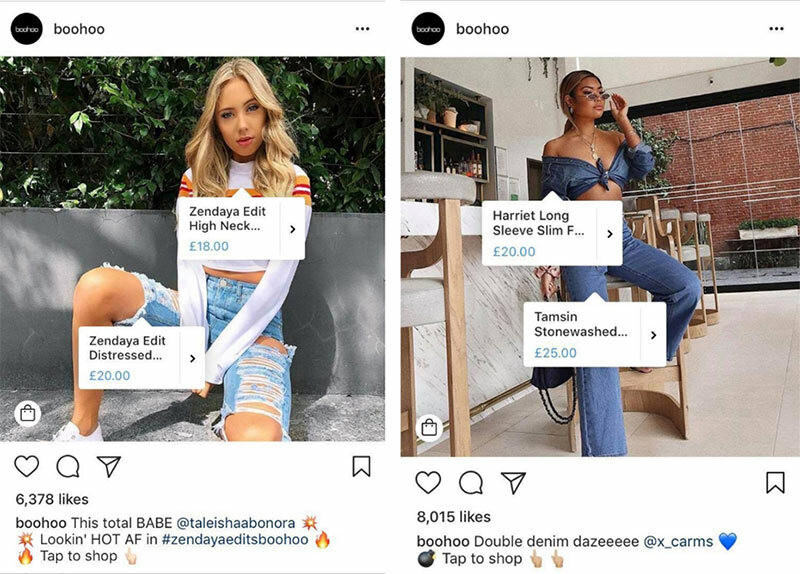 The new feature on Instagram allows brands to publish up to five organic posts where people can then tap to make a purchase. When you post something using the Shopping for Instagram feature, it displays the price and a link to the online store using a button ‘Shop Now.’ It works similarly to the existing tag feature, but instead of friends, you can tag products! It’s not just about funny dog videos anymore, right? Social media is rapidly turning into a place to go for inspiration and to make important buying decisions. This means encouraging people to leave you positive reviews on social media could result in a much higher ecommerce conversion rate. It builds trust with potential customers, however, opens your business up to negative reviews at the same time. Regardless of the comments, it’s imperative that you always take the time to respond. Never leave a negative comment without a response. It will look as though you don’t want to improve your levels of customers service. Likewise, don’t delete the review – people will notice! Facebook messenger is the most popular social media app to date with over 1 billion active users. Integrate Facebook messenger into your online store to let your audience know they can reach you anywhere at any time to help boost sales out of working hours. Once you have set this up, you can do far more to communicate with your customers and build trust with them. This feature now extends across Snapchat, Facebook, and Instagram. With most platforms making use of this feature, brands have multiple opportunities to communicate with customers instantly. You can use this feature to increase brand awareness, engagement and connect with people without overwhelming them. This article was provided by SEO Yorkshire, the most dominant marketing agency in Yorkshire, UK. We came across SEO Yorkshire by doing a quick Google search for ecommerce website design. They dominate the search engine results for many popular industry terms – we were impressed! Check out their website for the latest in the digital marketing news at www.seoyorkshire.net or drop them a call on 01226 720 756.